Millions of Americans rely on coffee shops for convenient, yet expensive energy boosts. As the colder months approach, these coffee shops increase their selection of specialty coffees. 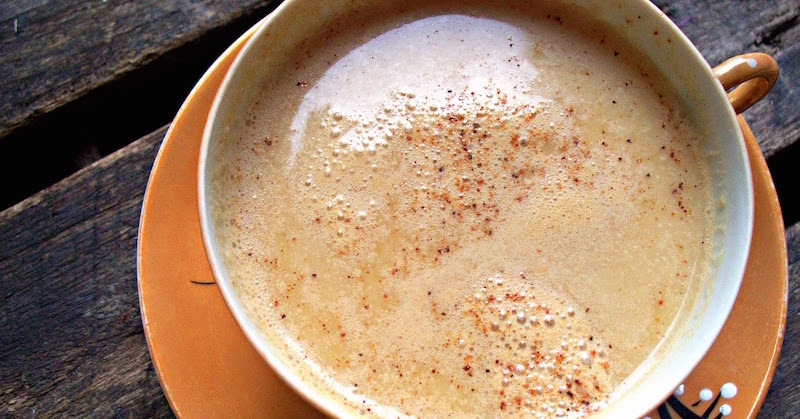 Why not make your own pumpkin spice latte that has all natural ingredients that provides you sustained energy and has many health benefits to boot? The following latte recipe is easy to make, does not require a lot of time, and will taste even richer and creamier than the store-bought specialty coffees. To make this pumpkin spice latte you will need a whisk and a blender. You will start by making your flavor base. Place the pumpkin puree, coconut sugar, and spices in a small saucepan. Begin cooking the ingredients over medium-low heat, stirring frequently, until the sugar is dissolved. This should take about two to three minutes. Next, add the coconut or almond milk. Pour the milk in slowly, whisking as you pour. This will keep the mixture smooth and creamy. Continue cooking, as you whisk, until the milk is just about to simmer. Remove the saucepan from the heat. Pour the mixture into blender, along with the hot coffee and vanilla extract. Keep the spout on your blender lid open. Place a kitchen towel on top of the lid—this will help prevent the steam from building up. Blend on high until you have a thick, frothy beverage. This should only take about one to two minutes. Pour and serve – you now have your own pumpkin spice latte. This should make about two cups worth of latte. If there is leftover foam in the blender, scoop it onto your lattes. Coconut sugar was included in this recipe as an alternative to brown sugar, as it is a much healthier option. Coconut sugar is made from the sap of the flower buds found on the coconut tree. The sap is boiled to eliminate water content, creating coconut sugar. It has a taste and consistency that is similar to brown sugar. Unlike brown or white sugar, coconut sugar contains additional nutrients. While it does contain sucrose, the primary chemical compound found in white and brown sugar, it also contains a small amount of potassium and other nutrients. This does not mean that it is safe to eat as much coconut sugar as you want. It is still a sugar, but it does have a lower glycemic index than white or brown sugar, which means that it doesn’t spike your sugar level as much. If you are looking for a way to save money or boost your health, skip the store-bought coffee and make your own pumpkin spice latte. While you are at it, find other ways to replace white or brown sugar with coconut sugar.